Pouncer, most configs. A not particularly fast or heavily armed 40 tonner, but those things put a beating on a number of IS heavy and assaults in my games. Great as long as the armor lasts. 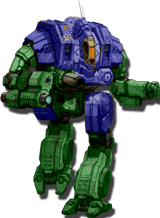 The most surprising positive performance for a mech I ever had was the -1R Vindicator. I was expecting so little. I managed to take a hilltop with it and become a hazard to a disturbingly large % of the map. A PPC and thunder ammo are fun. Best surprising performance out of anything was watching a Hetzer loaded with 1 ton flechette, 1 ton precision, and 2 tons normal ammo consistently wipe out infantry and most light mechs in right after fight. Most surprising negative performance is the old school AC20 hunchback. I’ve watched it be a monster in every game that I’ve faced it in. I have had the dice gods murder every last one I ever fielded. Including (in a single turn) having the first slip, crash into a building, and get knocked out, the second miss a 4+ to hit, and the third blow it’s own torso off because it rolled a 2 and we used the optional rapid fire rule for regular ACs. I came from HBSTech most recently and in that game, PPCs absolutely paled in comparison to almost all other weapons so the Awesome was decidedly sub-par. But PPCs proved to be a lot more viable on the TT so the first time I fielded an Awesome, it absolutely slaughtered half the lance arrayed against it, taking essentially zero damage in the process. The thing is a walking monster when paired with a good gunner in the cockpit, straight up area-denial. A similar deal with the above, except my expectations were informed by playing MW2 and other games that allowed custom fits in a competitive environment. In most cases, you actively want to boat weapons unless absolutely forced not to by mechanics and you always want to build with the idea that resource-management in a fight is as easy as possible. But on the TT, you can't as readily dictate range and wipe people flat-out before they can approach the way you could in MW2. So the Thunderbolt-5SS having such a perfect arrangement of weapons so that you can fire all the energy weapons for zero heat or use everything except the PPC for leftover sinkage, it suddenly made a lot more sense. PPC for range, a battery of MLas for consistent damage, an SRM for crit-seeking, flamer for anti-infantry purposes, etc. It is just a very, very good mech. Buddy of mine had the same problem with his HBK-5S, the LBX *rarely* hits, even fired in cluster. Two games in a row, the darn thing lost it's head. Kicked off in one mission; repaired, pilot replaced. Gaussed in the second. I swear the darn thing is cursed. I like to bring on 'cursed' mechs . . . was it a House unit, noble guard or merc? Did the unit name the mech? Anything else compound the tragedy of the deaths? stinger M. I used to HATE stingers. Until I got this version. AMS, Flamer, medium laser? 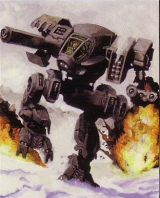 Great against ambushing infantry or elemental s.
If it was a GMed campaign, rather than Total Chaos, I'd consider assigning the Bad Reputation quirk to the 'Mech considering that before they got their head kicked off, the pilot was wounded in both previous battles as well. And nothing really compounded the tragedy of the deaths, except that none of his pilots have names. Maybe that's the problem. Heh. Nameless pilots are mooks. And mooks die ignominously in any system you play. The Ryoken/Stormcrow. Its a hugely popular 'mech that looks good on paper. The bar is set pretty high to start with. But you go in expecting "I can take a Warhammer", not "That's one lance down, now what?" Second place, the Watchman. Its so basic in the midst of the new tech of 3055 that it feels dead on arrival. But the good weapon selection and full armor make it much more useful than it appears at first glance. The choice of a Large Laser instead of a PPC keeps heat manageable so that you can shoot and jump, and an Alpha Strike only puts you at 2+ movement. The Armor is also higher than why I expect from a 40-tonner that would normally rely on speed for protection. Its a much better performer than I expected when I grabbed a cheap medium to fill out a lance. During a bit of RP over a contract and search for a new heavy to slot in for a new lance of rebuilt salvage and owner/operator mech I was told about a Warhammer 7M that a unit sold off after it killed three pilots in three battles in a row. The mercs considered it jinxed and they could not find anyone that wanted to pilot it, so it was sold off to buy a un-tainted mech to replace it. But yeah- widowmaker, walking coffin, or other such connotations could definitely be applied to some mechs per the fluff. Yeah, it's a pretty solid 'Mech. It's never won me games, but it's a good solid workhorse that holds the line for me pretty well for its size. And first glance a weak and uninspiring upgrade to the classic introtech Commando. In reality and really cheap and flexible light support unit. I always name my pilots. It's a quirk, I guess. Now, some of them may not be the most imaginative names, but everyone in a 'Mech gets a name. Heheh, one of my favorite for playing MegaMek servers was to name a pilot Shoo Tat'me. Only a few people ever got it. Absolutely. All of my pilots in my own Merc force for TC are named. I even have two of them starting a burgeoning relationship. One of the others has kind of a voice when I think about her - actually one of the HBS voice actors for the Mechwarriors is really close to what I was envisioning for her. And I am really disappointed that "Piggy" Hamm in his Thunderbolt "Razorback" (Bog standard 5SE, but darn it, I can name it anyways!) got captured by the Robes. I *might* consider staging a "rescue" mission for him as one of the generic tracks - if I can find one that is appropriate. Of course, it would be a rescue in name only. I'd still pay to hire a new 'Mechwarrior, just be an appropriate excuse for why it was him. But that's not why we are here. MAD-5W Marauder II. On paper, the firepower feels very anemic for a 100 ton 'Mech. But wow. Wow was it tanky. I think my opponent hit every point of armor that sucker had. It just *would not die*. What, no love for Rooster? Why they picked that character to move on into MC2 made no sense. Hitman would have been my first choice. if the terrain is mostly open, it can easily run 7-8 hexes with good defensive bonus and outmaneuver most opponents. And with it's rarity on the board, my opponents tend to forgot about the ECM and AMS on it, which are annoying as hell. It's a good Battlemech for a smart Clanner. For me it is the Dervish which in fluff seems to be looked down upon but seeing it in action it seems very effective. The Dervish is one of my very favorite medium 'mechs; use up your LRMs from a distance, then jump, backstab, and repeat. One of the big surprises for me was the Charger. For years I just saw those pitiful SLs and weak armor and ignored it, but then I tried the beast: it's a nearly-unkillable kicking machine. 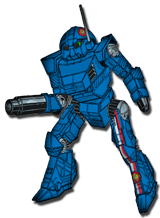 The side torsos and arms are nothing but damage sponges; the real purpose of this 'mech is to not stop kicking until the enemy mech drops with a sheared-off leg. I've had a Charger that lost both its arms and a side torso take on a pristine Annihilator head-on and win easily. In a reverse surprise...the Thunderbolt. On paper it's a good 'mech. People swear by it in actual play. I get creamed when I use it. That's me with the Fafnir - I've never once used one and had it not kill itself through stupid failed PSRs, even worse than my normal abysmal dice rolls.